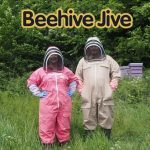 Our beekeeping podcast, This week we are talking about Anarchist Beekeeping, beekeeping training programs and an new Effective Biological Varroa mite Treatment. 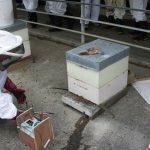 Apistan – Is a synthetic pyrethroid used to remove varroa mites in bee colonies, But should you still be using it? 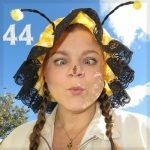 Charlotte Anderson is the first Female Master Beekeeper from South Carolina, she is also a Blogger and a Teacher. 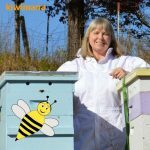 In 2012 she was named Beekeeper of the year in South Carolina. We talk about how she keeps bees successfully in the hot climate of South Carolina. 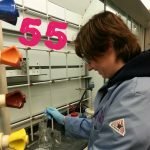 Ashlee Robison is a Senior Chemistry Major studying at Fort Lewis College in Colorado. 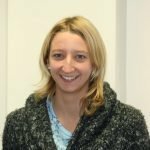 She is doing research into Thymol use in controlling Varroa Mites. 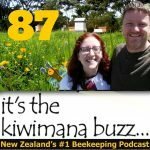 This week we are talking about when Great Britain came to kiwi nirvana land, Addiction, Saunas, Bumblebees and Sticky fingers. 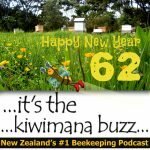 This is Episode Eighty Seven of our beekeeping podcast. 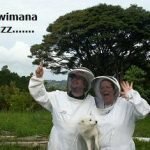 Sara is a qualified early childhood teacher and is passionate about bees and beekeeping and she loves to talk to children about bees and is known around Auckland as the “The Bee Lady”. 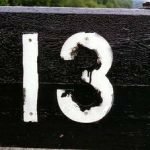 The thirteenth podcast from the the team at kiwimana. This week we are taking about inspections and buddies, and we talked to Kevin from the BK Corner podcast.